Read This If You Want To Take Great Photographs. Awesome title, right?! I’ve been meaning to write one more post in the SOS Photography series, but it’s been a busy month with my parents in town. Not only have we been tackling projects like reupholstering an ottoman, but we’ve also been making headway on our kitchen renovation. It’s been busy, but fun… and dusty. In the previous weeks I’d talked a bit about smiling, lighting, gear, and posing. In this final post (at least final for now!) I wanted to talk a bit about photo composition. Much of the time sewing blogging photos are just going to be a fairly simple composition – basically, a person in a new, handmade garment standing in front of a background. But, that doesn’t mean we can’t try to liven that up a bit if we want. When I started this series, I lamented having all of my photography books still packed in boxes in the basement. Laurence King Publishing reached out and asked if I’d like to review a copy of Read This If You Want to Take Great Photographs. by Henry Carroll. With a title like that, yes please! The book showed up the week I was planning on writing about posing, and as I read through it that week, it didn’t take me long to wish I’d had it at the beginning of the series, not the end! This book has sections on light and lenses, two of the topics I’d covered in previous weeks, as well as sections on composition, exposure, and seeing. The book starts off with Carroll imploring the reader to “start by ignoring everything” – particularly everything that seems complicated about your camera – and focus on the fact that your camera is really just “a box with a hole in it”. Carroll goes on to say that after reading through this book “you’ll see that taking great pictures is less about technical knowhow and much more about mastering that most valuable piece of kit – your eyes.” A valuable piece of advice for those of us who are afraid of our cameras. 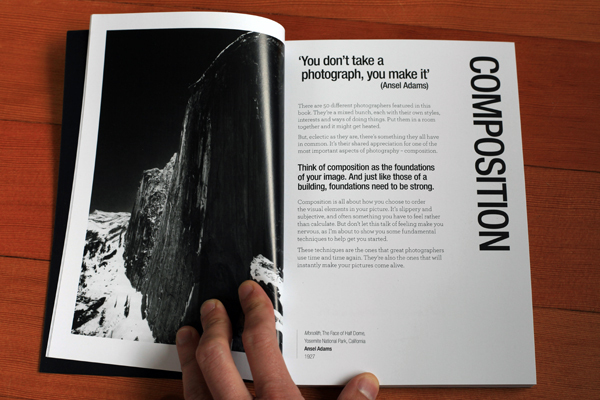 Following the introduction the book segues into the section on composition. Since Carroll decided to put composition first and foremost, I figured I’d feature it in today’s post. You’ve got to love that last one, right? As is always with these things, there really are no hard and fast rules, just guidelines. And, a great photograph can still be taken even when ignoring all the guidelines! Okay, so while most of you are probably not striving to take a photograph for the ages, Carroll’s tips on composition can enhance basic sewing blogging photography as well. Let’s take “leading lines” for example. If you wanted to show off a certain feature of a garment, say a neckline for example, you could touch it with your hand. The line of your arm will visually lead your reader to that feature. While this photograph of mine isn’t going to win any awards, it’s hard to miss the silk on the underside of my husband’s collar. This photo also uses “the rule of thirds”. While my husband’s collar is in the center of the frame, his face is at the one-third mark. Landscape or portrait is all about how you take the photo – horizontal or vertical. Carroll says, “Horizontal pictures (or landscape format) encourage our eyes to move from side to side. Vertical pictures (or portrait format) make them move up and down.” Now, I bet we can all agree that we typically want our reader to move their eyes up and down when they’re looking at full body shots of us, right? Vertical format pictures are called “portrait” after all! So, think about that next time you’re setting up your camera and tripod. Tip the camera vertically when you’re trying to capture a Sartorialist-esque photo of you in your new garment. But, don’t necessarily take all of your photos that way! Sometimes you might want to encourage your readers to look from side to side. We all love detail shots, right? Well, that’s basically what “getting close” is all about. Make your new dress fill the frame. Carroll suggests you try to get close when you take the image, instead of just cropping it later, so that you really get the feeling your going after. The rest of the book is pretty great, too. Shutter speed (movement), aperture (focus), ISO (sensitivity), and exposure compensation are all explained in an easy to understand way on a handy diagram as well as in detail in the text. I also love the section on “seeing”. Carroll definitely seems to suggest that sometimes you’ll need to take a bunch of photographs, constantly tweaking each one as you go, before you’ll find the right one. I can relate when it comes to the number of photos I take versus the number I actually use to show off a finished garment! 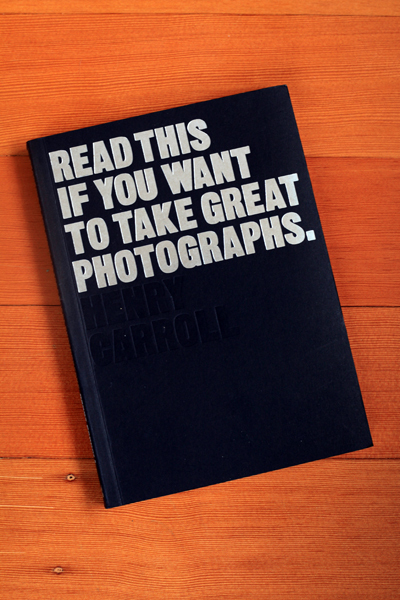 If you’re interested at all in furthering your photography, I would highly recommend this book. It breaks down a really complex topic in a very approachable way, with a lot of great photographic examples throughout. Win-win! Okay, so that’s a wrap on this SOS Photography series. Hopefully you’ve learned a thing or two. I know I have! If you’d like to add your own go-to tips on composition (or anything really! ), please let us all know. Or, if you have questions about photography (or anything really! ), ask away! It can be fodder for future series! Thanks for the review, this is a really interesting post. I’ll definitely use some of the techniques suggested. Great! Glad to know you got something out of it. I hope I will, too! Thanks for reviewing this! I get really overwhelmed with technology stuff, but this book seems pretty simple and easy to read. I’ll have to check it out! You definitely should! I wonder if the book is in libraries? It’s got some really nice examples in it. I have nominated you for the One Lovely Blog Award. Thank you so much Mary!!!! Thanks for the review. I’m going to try to get this from the library.